In the foothills just outside the DC area, find the world class creeks and rivers of Western Maryland, West Virginia, and Pennsylvania. Monday: Local paddle, like Little Falls, to shake off any cobwebs, review skills, get acquainted with the group. Tuesday: A kayaking must: the Lower Yough! Wednesday: Next stop the Cheat– this section may vary based on water levels. Thursday: Waterfalls will be the name of the day! Friday: Final day, TBD. Based on water levels, campers skills, etc. 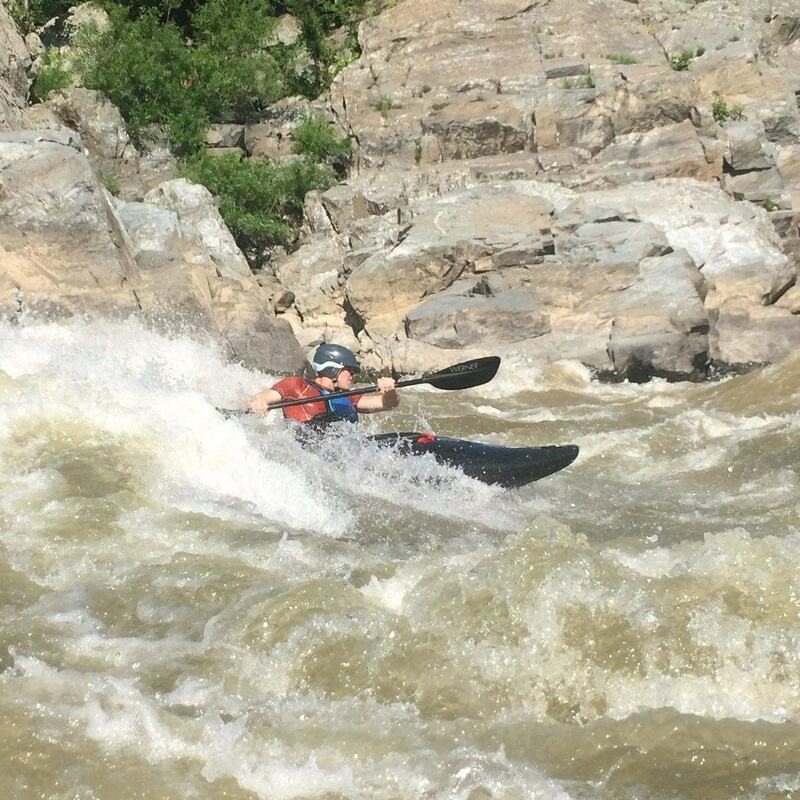 The West Virginia kayaking trip is a must for any camper that has gone through the kayaking program! We spend a week in “Wild and Wonderful” shredding all the legendary whitewater we can handle. The week will begin by paddling locally to get a feel for the group and to dust off any cobwebs. 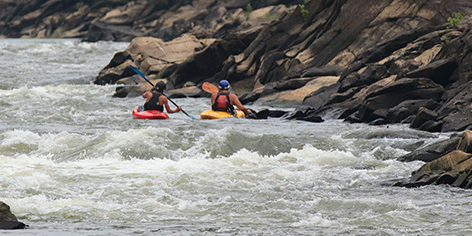 Paddlers must at minimum have a confident Class III bow roll and feel comfortable paddling Class III whitewater like Little Falls. 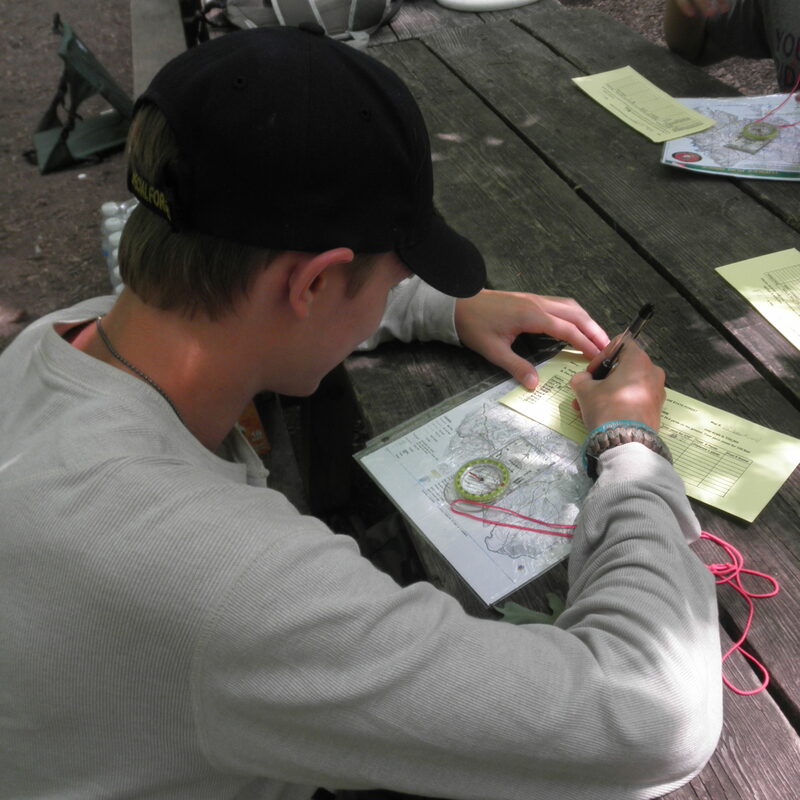 To check whether your child is ready for this week, you can email Steve-O or Ashley at LAKS@calleva.org. 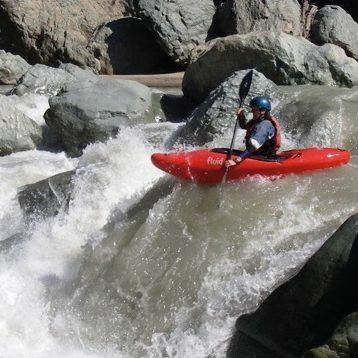 Less experienced kayakers should check out Kayak WV Lite. Before we leave the DC Area we check all of the river gauges to figure out which rivers are running. 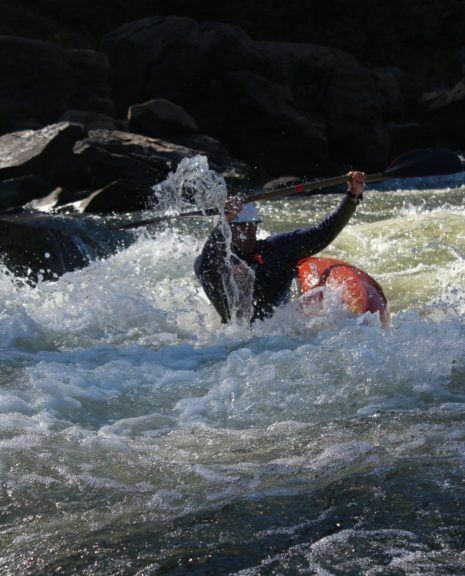 We will spend the week honing our paddling skills and pushing ourselves to bigger and more technical whitewater. 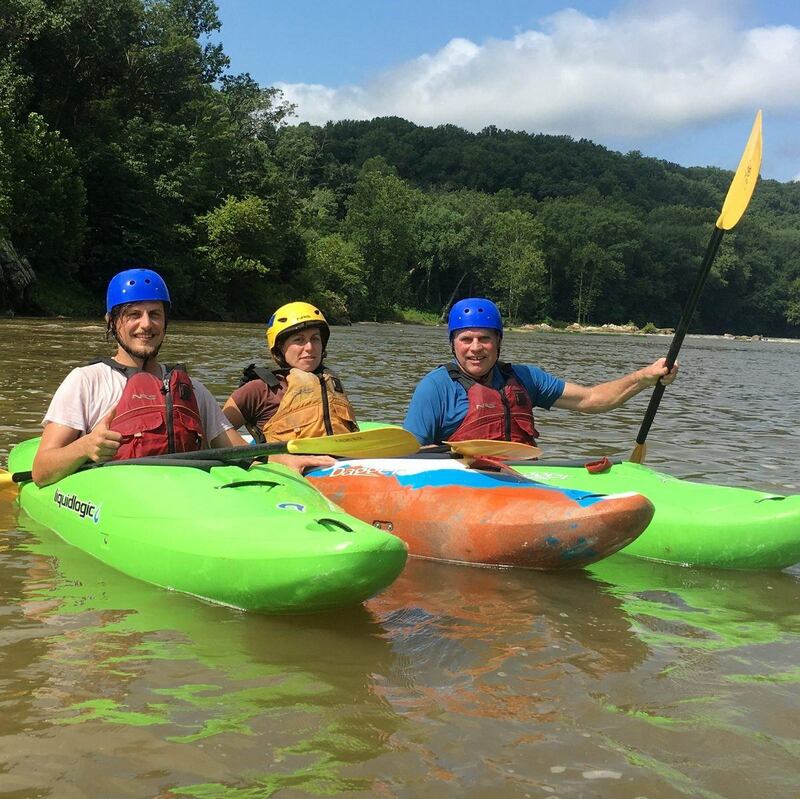 The experienced Calleva staff will help the campers challenge themselves in an environment that sets them up for success. 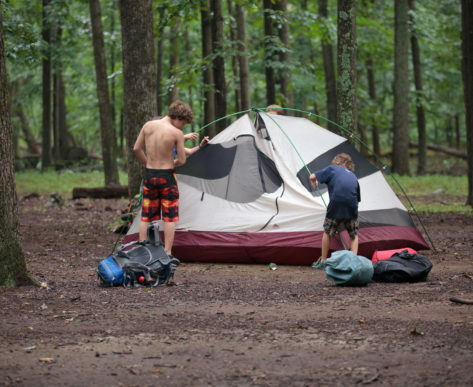 Depending on the water levels and group skill level there might be options for an overnight river trip and running the famous Ohiopyle waterfall. 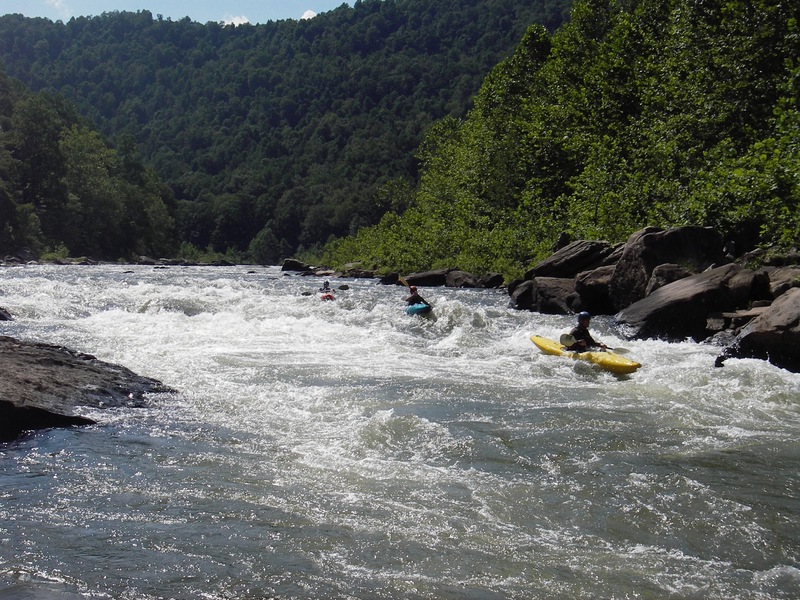 Sign-up for this week of adventure paddling in West Virginia!